"Therefore, pursuant to Elections Code section 9033, the initiative measure is eligible for the November 6, 2018, General Election ballot and all further signature verification can be terminated," the office announced. Voters will now have to decide whether they approve of the measure to divide California into California, Northern California, and Southern California. 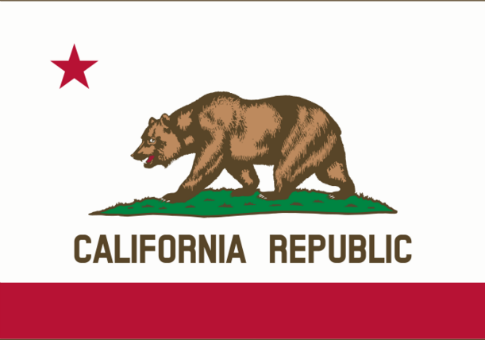 California would be a strip of six mostly coastal counties including Los Angeles and Santa Barbara; Northern California would be composed of 40 counties including the San Francisco Bay Area and Sacramento, the current state capital; and Southern California would contain 12 counties including San Diego and Fresno. Most observers believe that even if the measure passed, it would still require California's legislature to approve it, in line with the U.S. Constitution's requirement that "no new state shall be formed or erected within the jurisdiction of any other state, nor any state be formed by the junction of two or more states, without the consent of the legislatures of the states concerned, as well as of the Congress." The ballot's leading backer, billionaire Silicon Valley investor Tim Draper, insists, however, that because the measure is using a process set up by the California constitution, the ballot measure alone would satisfy that requirement. In any case, the U.S. Constitution requires that Congress then approve of the new states. There the measure would face an uphill battle, given that it effectively gives present-day California an additional four Senate seats and would end the Democratic lock of a state with 55 electoral votes. Among other obstacles, a recent SurveyUSA poll found that only 17 percent of California voters support the "CAL3" plan. This entry was posted in Politics and tagged California, Constitution. Bookmark the permalink.